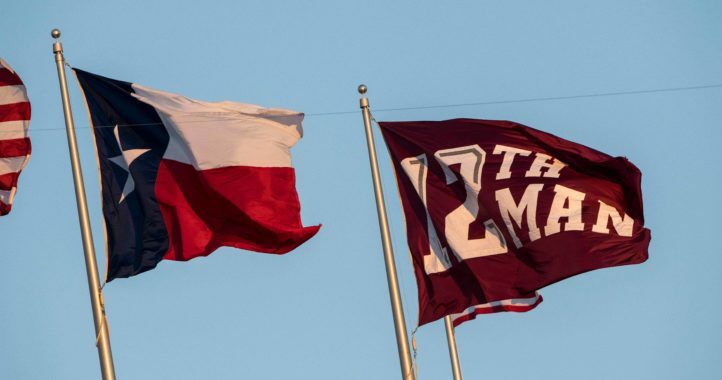 Texas A&M has its first defensive pledge in the 2020 class – and he comes from rival territory. 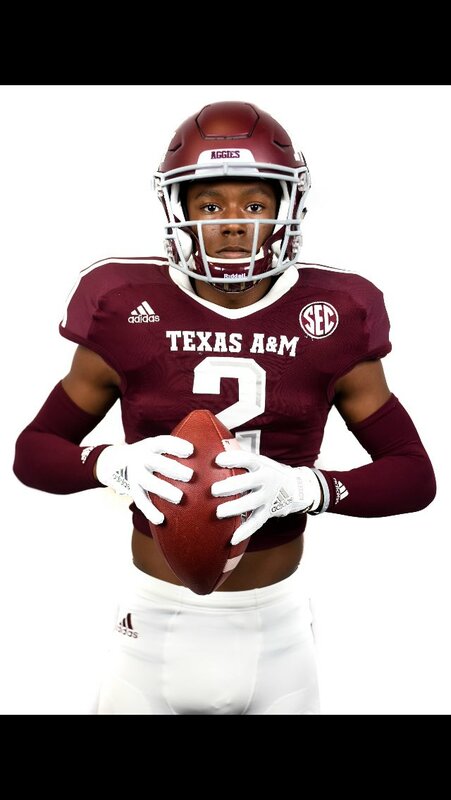 Baton Rouge (La.) 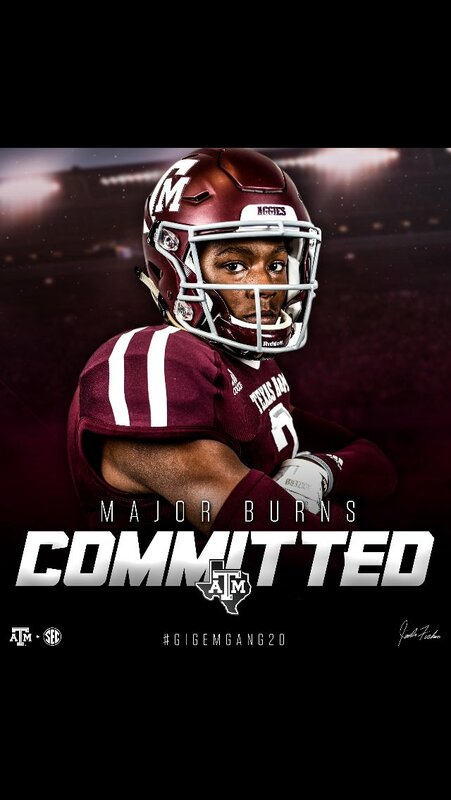 S Major Burns announced Sunday that he has committed to Texas A&M. The Madison Prep Academy product is listed at 6-1, 181 pounds and ranked the No. 33 safety and No. 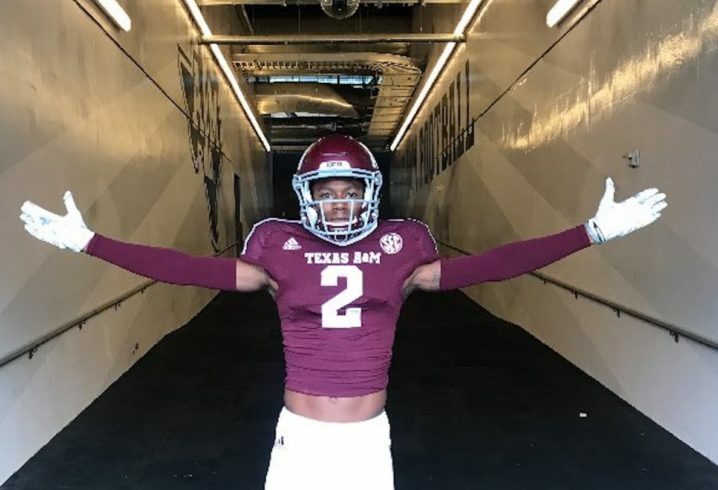 31 Louisiana recruit in the 2020 class on the 247Sports Composite. 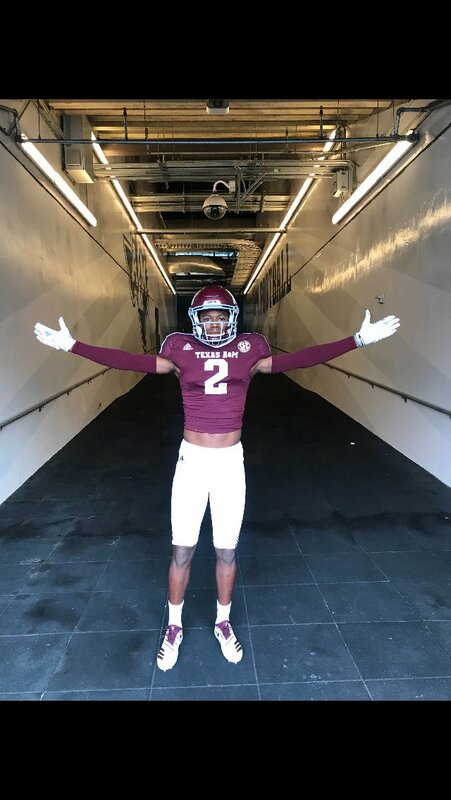 Burns is the seventh commit for Jimbo Fisher’s 2020 class. 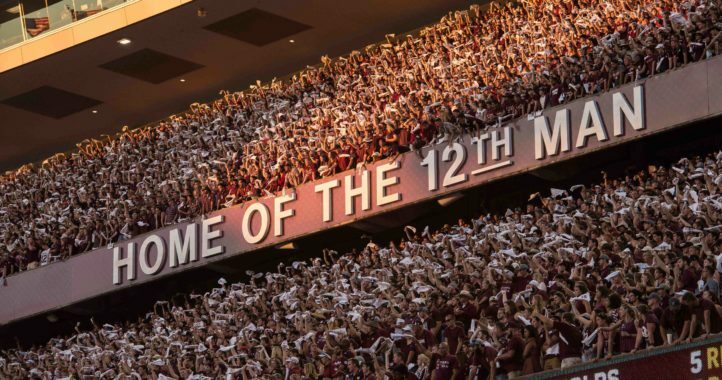 The previous six were all Texas products on the offensive side of the ball. The primary recruiter for Burns, Bradley Dale Peveto, was on the LSU staff from 2014-16. You’ve made a good choice, Major. I look forward to watching you soon. 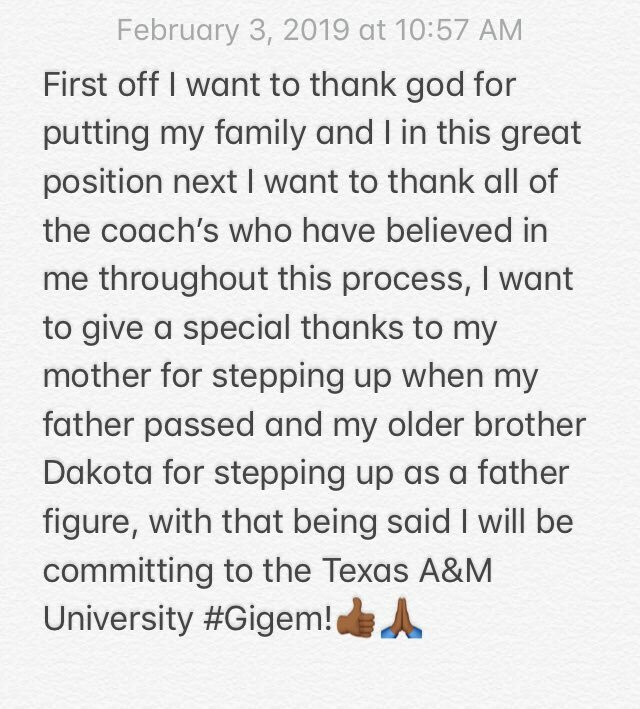 Gig ‘Em!!! !